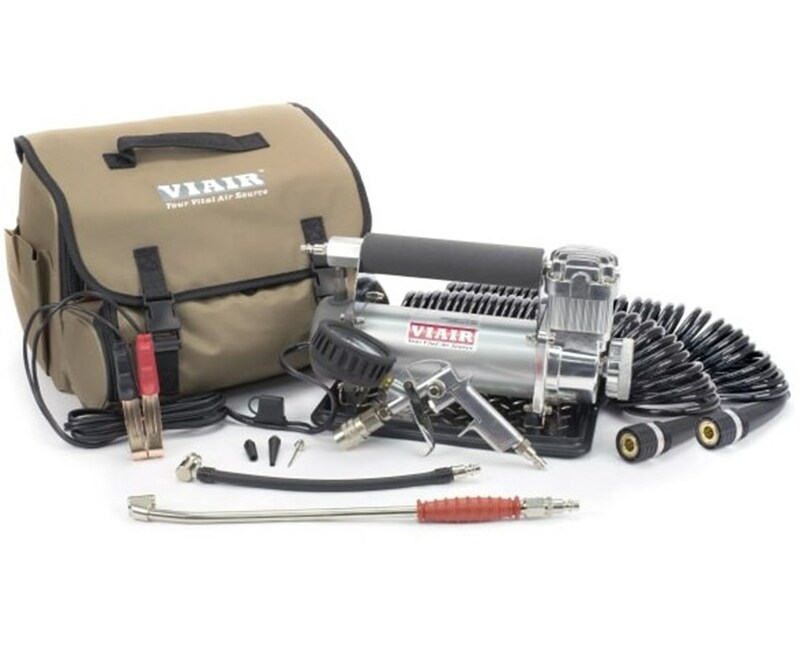 The Viair 450P-RV Automatic Air Compressor is an essential piece of kit for any off-roader. It is designed for RV use and can inflate up to 42-inches tires at 1.80 CFM free flow. It can tolerate extreme terrain and still be able to operate at 100% duty cycle at 150 PSI for 40 minutes. It offers an automatic shut-off function that comes in handy when moving from tire to tire or checking tire pressure. 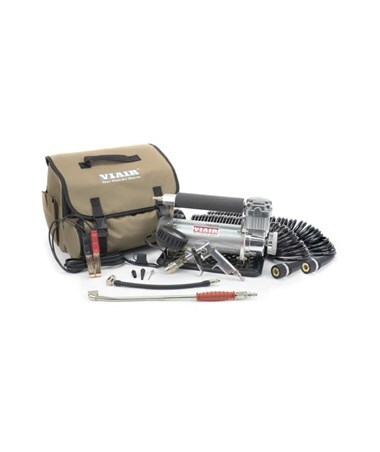 Packed with features, the Viair 450P-RV Automatic Air Compressor is equipped with a diamond-plate sand tray which resists vibration, a 12V permanent magnetic motor and quick-connect extension air hose with heat shield. A close-ended gas station-style air gun is also included for added convenience. Equipped with thermal overload protector feature, this compressor is protected against over-heating which can cause permanent damage. The Viair 450P-RV Automatic Air Compressor is intended for RV use, but it can be used for more varied inflating situations with its different accessories. Moisture and dust resistant, this compressor has an IP54 rating. For portability and convenience, a heavy duty deluxe carry bag comes with this compressor. It also comes with a 1-year manufacturer’s warranty.